Continuing on from Part 1 of my look at AmigaOS4.1 Final Edition where we prepared the hard disks for the new version, in this part we look at the installation of AmigaOS4.1 Final Edition onto my X1000! A close up of the CD label reveals that my purchase guarantees the bananas for the codemonkeys! 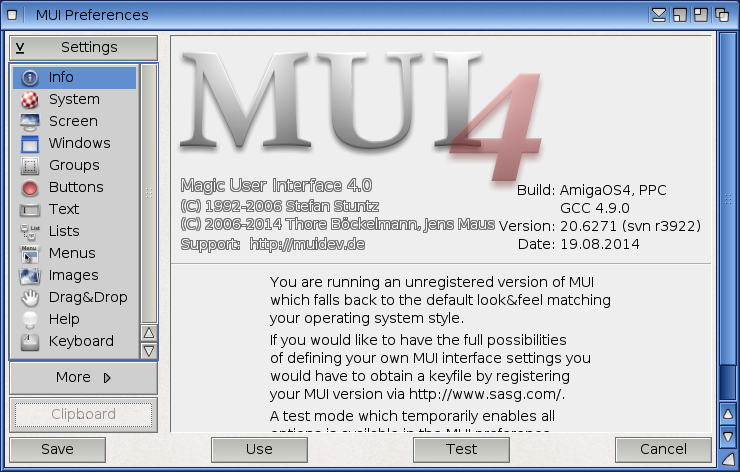 I am very happy to support the efforts of AmigaOS4.1 developers! So let's get into the installation! First, I put the AmigaOS4.1 Final Edition CD into the X1000 and booted from it, using the CFE AmigaOS 4.1 CD boot menu option. 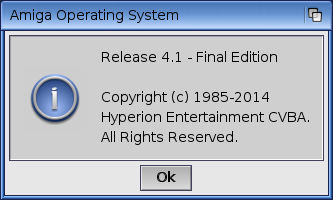 As a side note, this is not the Final Edition of AmigaOS4 to be released! 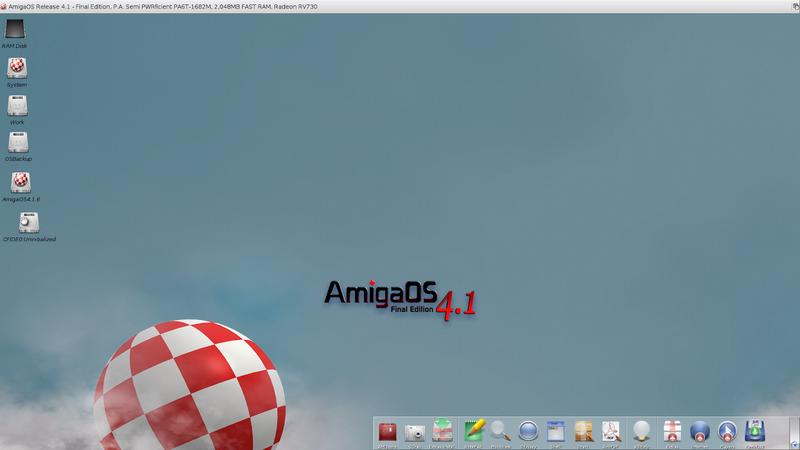 It is just the Final Edition of AmigaOS4.1 to be released. 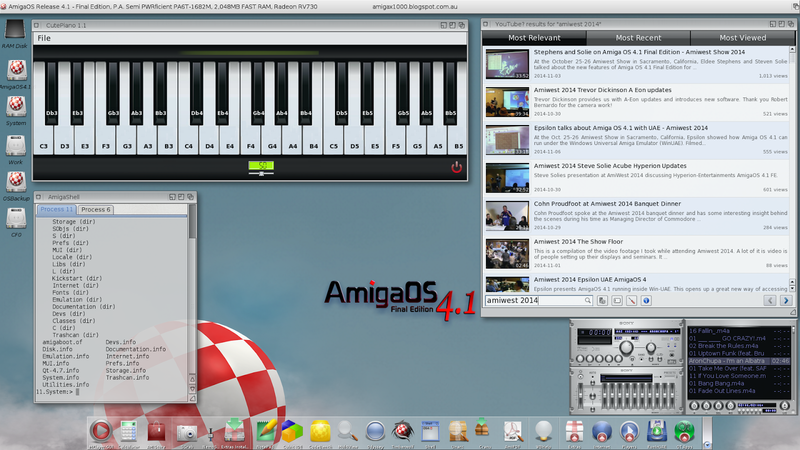 There will be an AmigaOS4.2 in the future, which is under development right now. At this point the installer makes you aware of the Radeon HD Lite video driver included with the default installation - basically stating you are restricted to 1024x768 screen resolution with no compositing support enabled. You are encouraged to go and buy an upgraded video driver from AmiStore to unlock the full video functionality of your system. I personally think it makes more sense to bundle it and charge more for the operating system - but it is their choice of course, and many people already paid for the enhanced drivers previously like myself. I already bought the Radeon HD 2.4 graphics driver so later on in this process I can upgrade the driver. If you have the Radeon 1.0/1.2 HD graphics driver then you can use that too (as an X1000 owner this was given to us for free - for other SAM440/460 systems you need to buy it from AmiStore). I selected 1920x1080 as my resolution as I use a 24" HD LCD Screen, and left the AmigaOS4.1 look option set - You do have the option to use the look and feel of AmigaOS4.0 if you prefer. 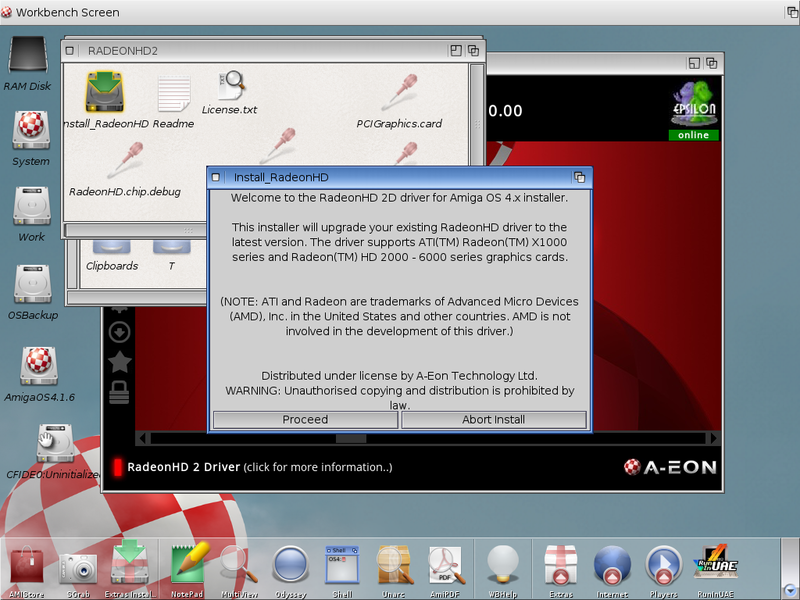 After that the Workbench appears with a promo for the Radeon HD 2.4 graphics drivers, available to purchase on AmiStore. Seems strange not to include AmiStore with AmigaOS4.1 Final Edition and then promote using it to upgrade the video drivers within the installation! 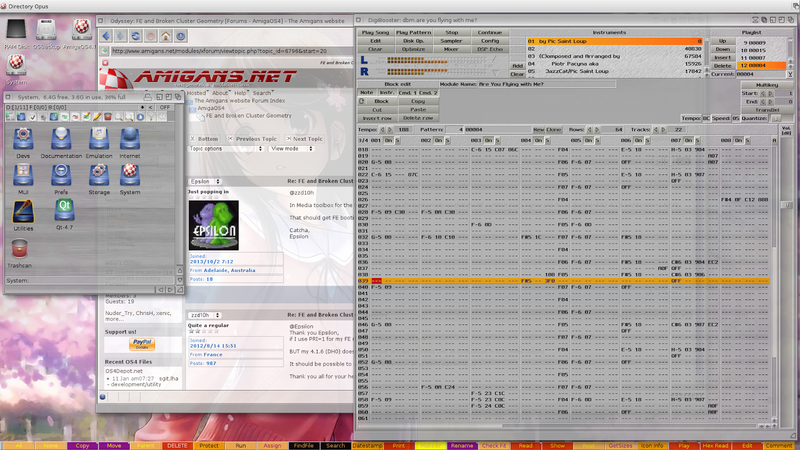 Here you can reconfigure localisations, setup the screenmode for your graphics card, configure sound card, setup the network connection and finally install some of the extra software bundled on the AmigaOS4.1 Final Edition CD (requires the CD to be put back in). 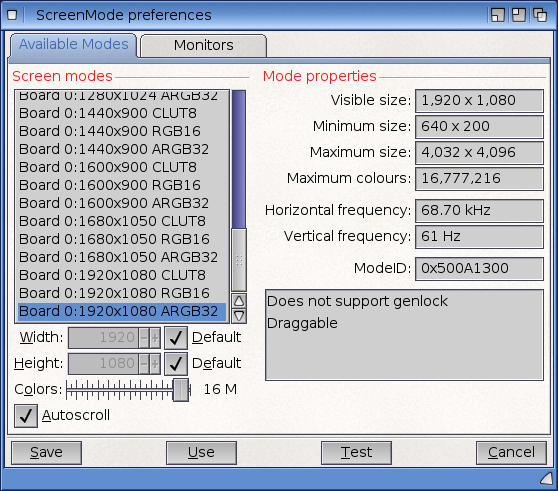 I click on OK, then Save on the screenmode settings. The screen went away but the screen mode didn't change - at this stage I was confused why it didn't change (found of why later on), but continued on anyway. Unfortunately it didn't work - I also subsequently found out the built-in network driver has dropout issues and shouldn't be used by X1000 owners at this time. At first I had no idea what this could be, but after some thought I realised that it was the CF Card in my X1000 that was causing the problem. The CF Card in my X1000 (on the motherboard itself) is a 8GB card, formatted as 4GB FAT partition containing Linux kernel needed by the X1000 CFE in order to boot Ubuntu Remix on the X1000. AmigaOS4.1 Final Edition now supports reading this CF card - AmigaOS4.1.6 didn't. Clearly AmigaOS4.1 Final Edition was having issues with the unformatted space on the CF Card. 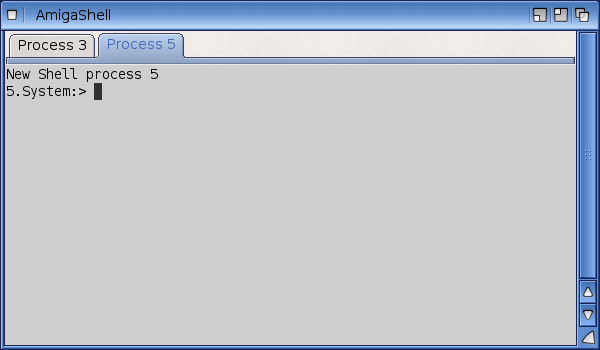 When I removed the card the problem went away and no more error messages appeared. One solution is to comment out the cfide.device.kmod line in the kicklayout file, which prevents AmigaOS4.1.6 Final Edition from seeing the CF Card. This is the option to do if you get this problem and want to preserve your dual booting linux capacity on the X1000 using the CF Card as FAT. 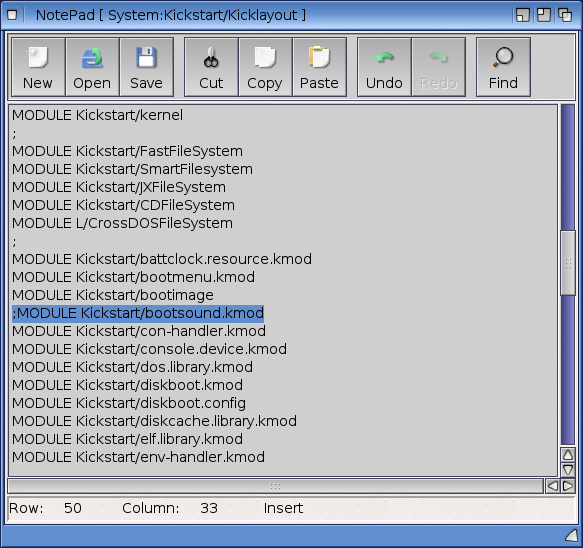 Here below is the Kicklayout file in Notepad (System:Kickstart/Kicklayout) with the required line highlighted and shown commented out by placing a semi-colon in front. 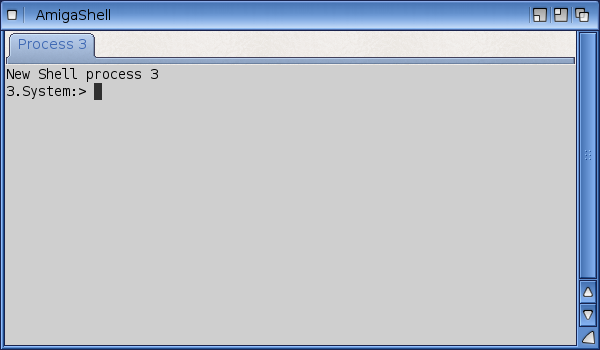 While in this file you can also comment out the bootsound.kmod line if you want, which is what plays the original Amiga 1000 boot sound when AmigaOS4.1 Final Edition boots every time. Back on topic, Another resolution to the CF Card error issue is to use a 2/4GB CF card, which apparently works fine when formatted to it's full capacity. 4GB is the FAT limit, so it is not possible to format a 8GB CF card to it's full capacity unless I create multiple partitions. Other people have had this problem too - please remove the CF Card if you are having this error message, confirm the problem goes away and then decide what to do with your CF Card after that. I haven't used Ubuntu Remix for a long time and with 2015 now here, it is a good time to go AmigaOS4.1 Final Edition only on the X1000 moving forward. I later decided to format the CF card as Amiga format (8GB) labelled CF0 so I can use it in the X1000 still, now only for AmigaOS4.1 Final Edition. 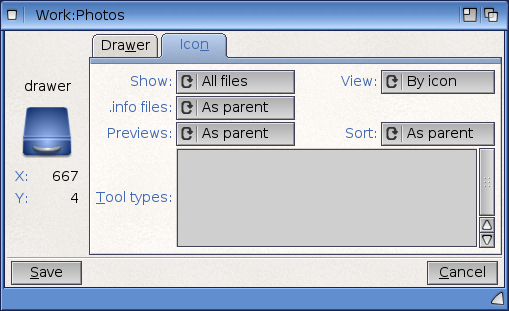 After that it asks where the Workbench3.1 folder should be created - it reminds you that you need to manually create the drawer as it is not done automatically for some reason. 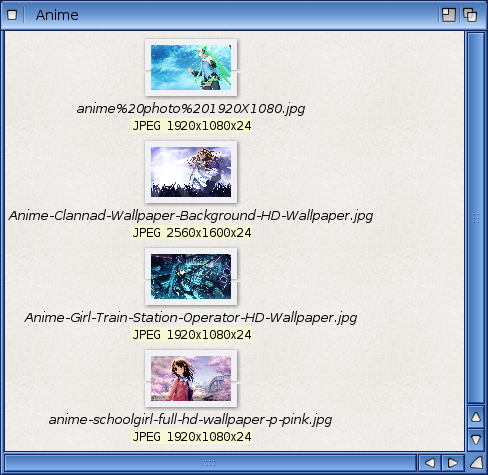 You can see at this point I haven't formatted the CF Card, which is showing as uninitialised. 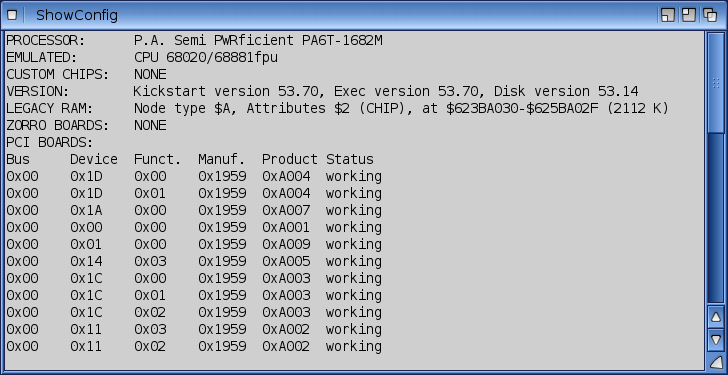 I right clicked on it and selected Format Disk to format it as an Amiga formatted disk (as mentioned earlier). 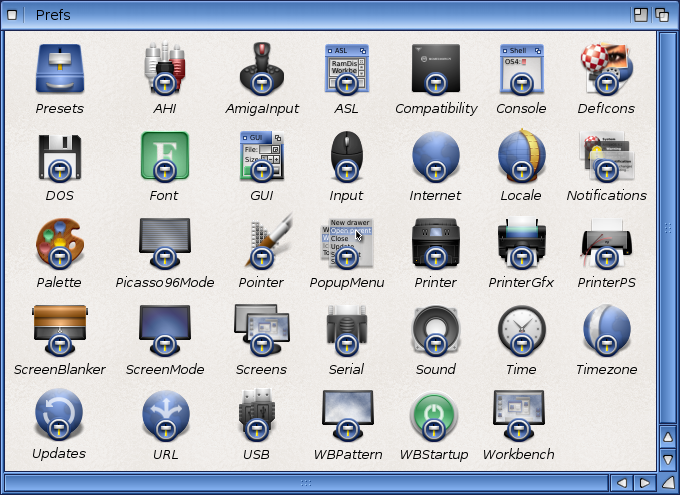 I will play around with the console more later on of course as there is a lot more configuration for it! After some more work reinstalling my applications and settings onto my X1000 things are taking shape on the X1000 - I have also restored my dual display configuration (by copying the dev/monitors folder from my AmigaOS4.1.6 installation to the dev/monitors folder on the new install. I have Odyssey, Timberwolf, AmiCygnix, QT, MPlayer (and GUI), DOpus 5.9, Codebench and more installed already, but more to go yet before my system has everything I was using under AmigaOS4.1.6! I am working hard to get everything installed on the X1000 ready for the Adelaide Amiga User Group get together on January 19th - can't wait! 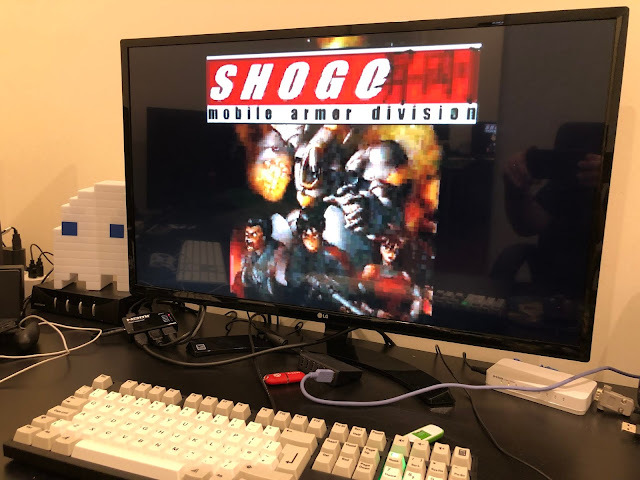 The X1000 Dual display setup running AmigaOS4.1 Final Edition looks great already in my opinion! Whew - covered a lot in this part. 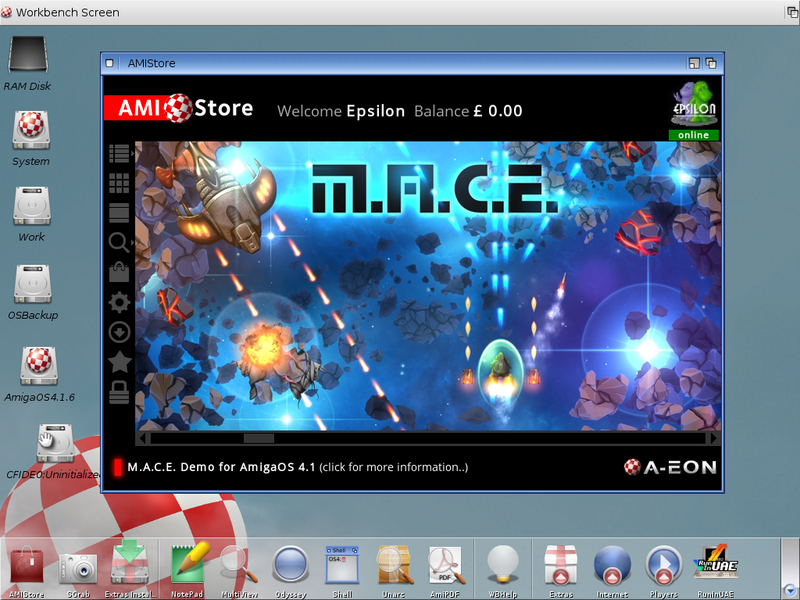 But we now have AmigaOS4.1 Final Edition installed on my X1000! 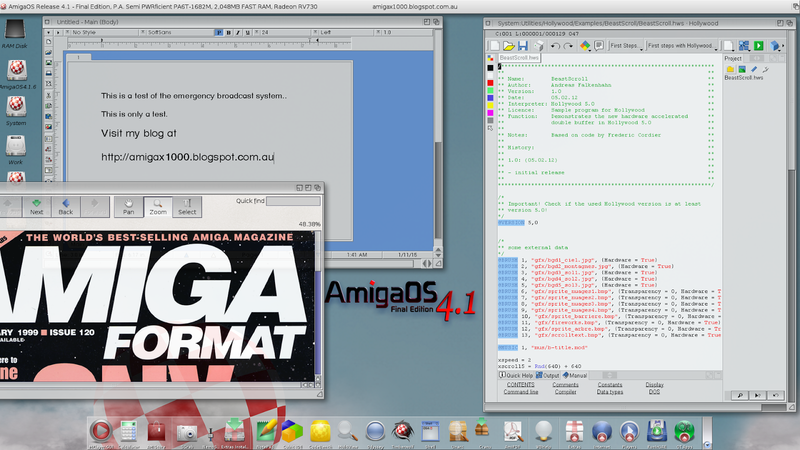 I am sure there will be more blog entries to come as I transfer and reinstall more of my applications onto the new installation and get to grips with AmigaOS4.1 Final Edition new features! Great stuff Epsilon, thank you!!! Very good review of the installation process and basic features of 4.1 FE! Can't wait to get it installed on my Peg 2 tonite! Very nice!! Thanks for going to all the work with the screen shots.